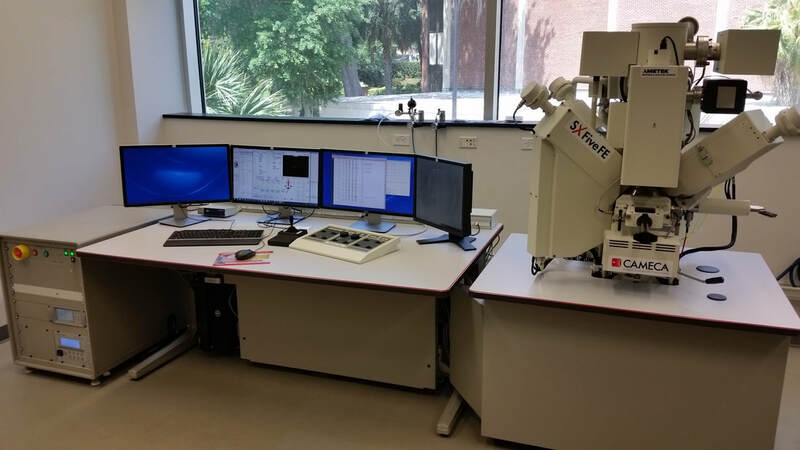 The UF Experimental Geochemistry Laboratory was established in 2018 to allow our researchers to recreate the high-temperature and -pressure conditions inside the terrestrial planets and asteroids. We use experiments to answer questions about planetary core formation and differentiation, mantle melting, phase equilibrium and elemental partitioning, stable isotope fractionation, and a range of other problems. 2 End-Loaded Piston Cylinders - For conducting high-temperature and high-pressure experiments from 0.5 - 4 GPa and over 2000 °C. 1 Controlled Atmosphere Furnace - For conducting high-temperature experiments up to 1800 °C at ambient pressure with a CO-CO2 gas mixture to control the redox conditions of the experiment. Current Renovation Status: Progress is Being Made! The Experimental Geochemistry Lab is taking over space originally used by a low-temperature experimental physics laboratory and the space was clearly in dire need of updating! 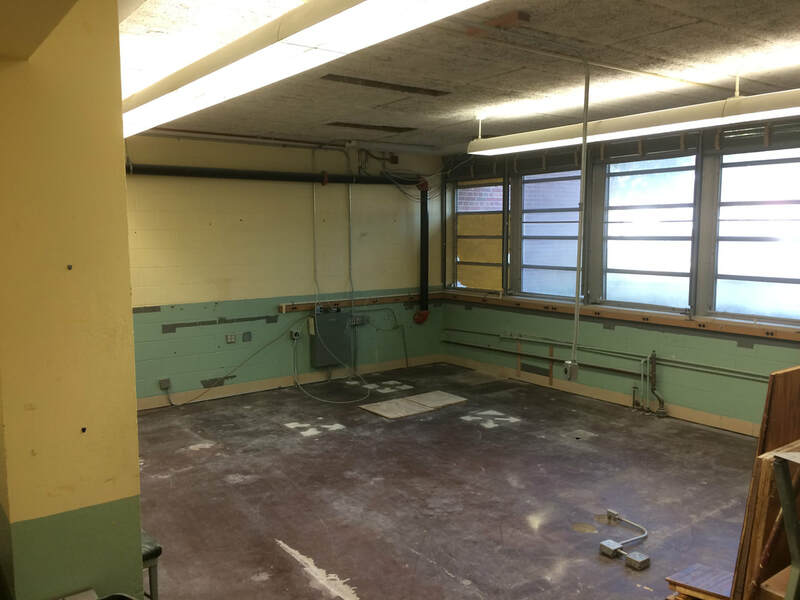 The renovation work started in July 2018 to get the lab ready for all new experimental equipment, a new PI, and new graduate students to come in push the boundary of experimental geochemistry and planetary science. We expect the renovations to finish in early 2019, in plenty of time to welcome new students in the fall. Two Rockland end-loaded piston cylinders are our main high-pressure experimental tools. They are highly versatile, allowing us to recreate the conditions relevant for anything from "low" temperature granitic systems to the more extreme conditions of planetary magma oceans and core formation. A Deltech controlled atmosphere furnace allows us to easily conduct a wide range of experiments at ambient pressure, including large-volume experiments with controlled redox conditions. We also use this versatile instrument to synthesize samples for other experiments. 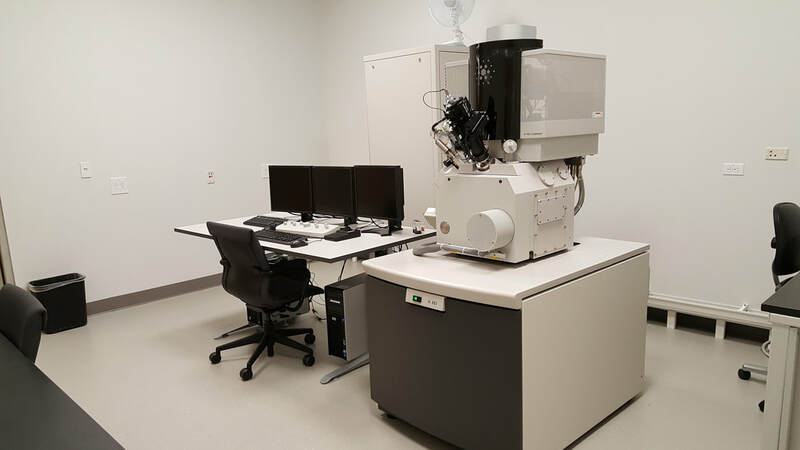 The UF Mass Spectrometry Lab is where our group conducts high-precision trace element and isotope analyses. 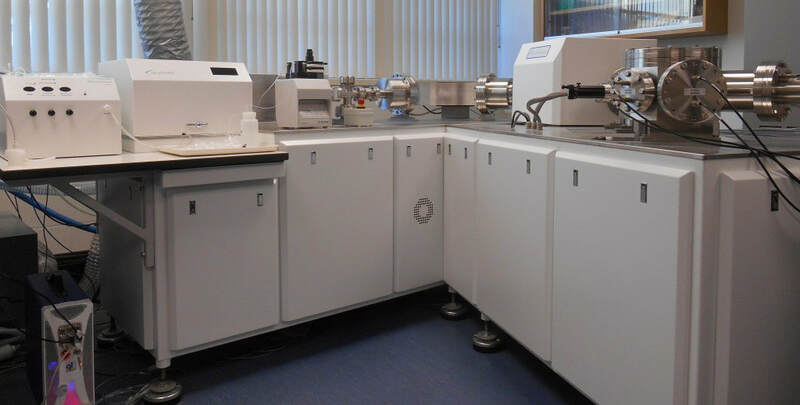 Multiple mass spectrometers, including a brand new Nu Plasma III MC-ICP-MS, allows us to quantify the trace element abundances and isotopic compositions of bulk samples or individual individual phases in situ using the laser ablation system. We can study both natural samples and experiments.